This morning, Dad had a surprise waiting for him when he headed out to the barn for the morning feeding. He opened the garage door, stepped into the weak morning light, and took a moment to survey his domain. In front of him, the low sun cast long shadows across the riding arena, just beginning to warm the south side of the barn beyond. He inhaled, tasting the rich scents of the farm on the fresh south breeze, as his gaze swept north, to where a herd of alpacas stood in a tight cluster, absolutely and completely free in an unfenced field. He blinked. They blinked back. We aren't supposed to be out here, are we? Calmly, Dad went inside and told Mom that the alpacas were out. Then he went back outside and clambered over the arena fence (twice), so that he wouldn’t inadvertently herd them in the wrong direction. Mikayla stood at the front of the group, head held high, watching him approach. The others were arranged in wedge behind her, looking from her to Dad, clearly very, very aware that they were breaking the rules. 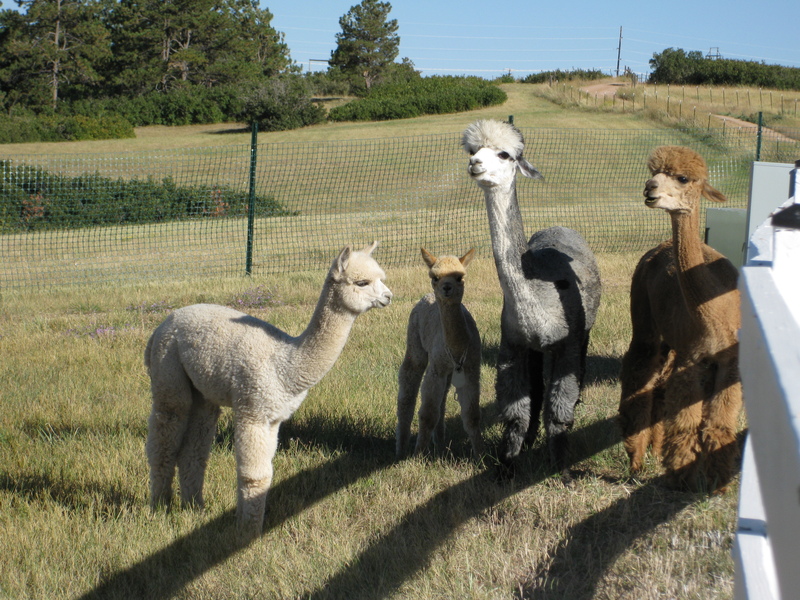 This entry was posted in animals and tagged alpacas, escape, herd dynamics, paddock. Bookmark the permalink.